The final plans to finish Shell off in court have been made by Easter, Balot, and Oeufcoque. But in order to execute those plans, they must set foot into Shell's domain: the BlueEgg Casino in the center of Mardock City, and find the chip where his memories lie. If they can't find the chip, their case will be dismissed in court, and their "usefulness" will be gone – resulting in all of their deaths. Will Balot find the chip in time, while still dodging Boiled and his now mad search for her and Oeufcoque? Watch Mardock Scramble: The Third Exhaust Episodes Online at Animegg.org. 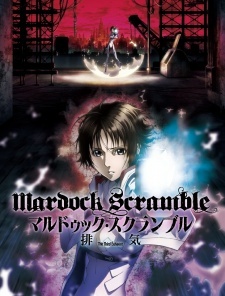 Mardock Scramble: The Third Exhaust is available in High Definition only through Animegg.org. Choose an episode below and start watching Mardock Scramble: The Third Exhaust in Subbed & Dubbed HD now.